In the last year, I have been so impressed by the noble efforts of the Coalition of Immokalee Workers in Immokalee, Florida. Working with Rev. Allison Farnum, who serves at the UU Church of Ft. Myers, FL, and the Interfaith Alliance of SW Florida, we are planning an alternative spring break experience in Ft. Myers/Immokalee, FL next March 20th-23rd. This service and learning immersion experience is being tailored for young adults. 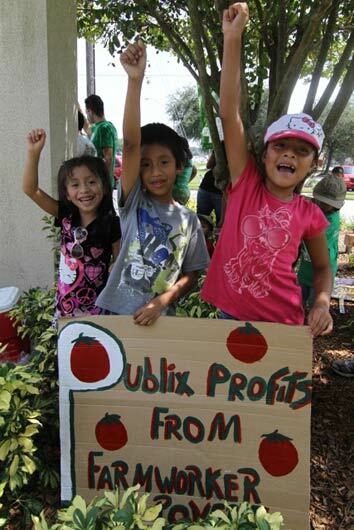 We will be working with the CIW and Interfaith Action of SW Florida to have opportunities to stand with the workers as they seek to bring large grocery chains, (such as Publix and Krogers), and restaurants, such as Chipotle's, to the bargaining table. Before next March, there are going to be a host of experiences that you and and your congregation can take part in, such as this Sept. 15th in the Chicago area. Please see below -- let me know if you have an interest in the March Spring Break Alternative. Join the CIW and Allies in on Sat., Sept. 15th for Creative Actions at Chipotle's Cultivate Festival, Calling on Chipotle to Commit to the Fair Food Program! What: Following a decade of education, outreach, and action in its Campaign for Fair Food, the Coalition of Immokalee Workers -- a Florida farmworker organization -- has developed the Fair Food Program, an historic partnership between farmworkers, tomato growers, and ten leading food corporations. Through their commitment to the Program, these corporations -- among them McDonald's, Subway, Whole Foods, and Trader Joe's -- are paying a penny-per-pound premium towards increased farmworker wages and have committed to buying only from growers who meet those higher standards. Through the Fair Food Program, farmworkers, growers, and major tomato buyers are building a tomato industry that respects and advances the human rights and dignity of farmworkers. Yet, despite its claim to be the fast-food leader in social accountability, Chipotle has for years refused to sign a Fair Food Agreement, choosing instead a "go it alone" approach that is not only unverifiable, but means that Chipotle is under no obiligation to stop buying tomatoes from growers where workers' rights are violated, the cornerstone of the Program's success. On Saturday, September 15th in Lincoln Park, Chipotle will host its Cultivate Festival to promote its concept of "food with integrity" through presentations with celebrity chefs, music, and local farmers. In response, the CIW and allies are organizing a series of creative actions to take place in and around the festival, aimed at educating participants about the contradiction between the company's commitment to sustainable farming and animal welfare while at the same time refusing to do its part to end decades of poverty and injustice faced by Florida farmworkers. Please make plans to join us!